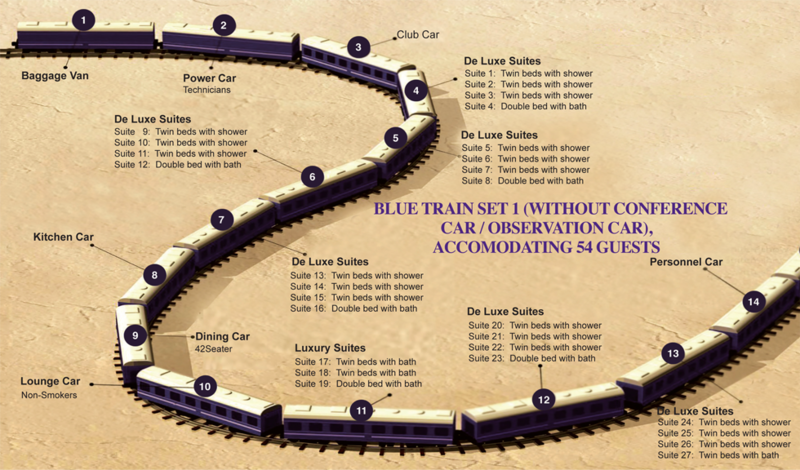 There are two Blue Train sets – simply referred to as Train Set 1 and Train Set 2. The former can accommodate a maximum of 54 guests and is available for use during charters. Train Set 2 is the weekly “schedule” train running between Pretoria and Cape Town. 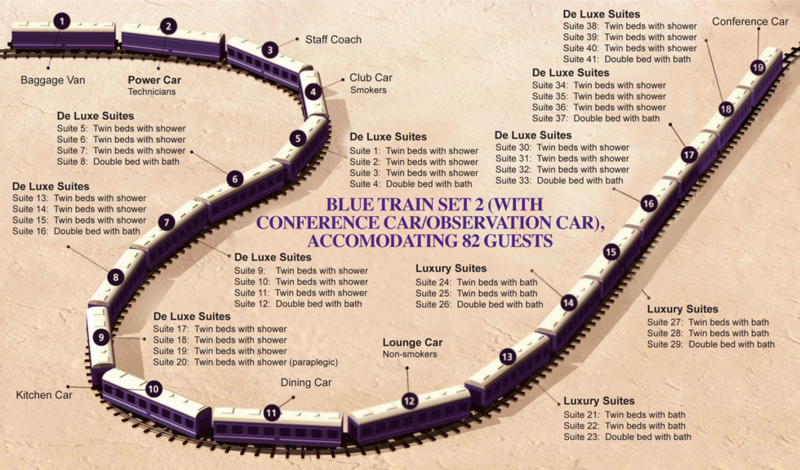 It accommodates a maximum of 82 guests and includes a paraplegic suite and a Conference Car. 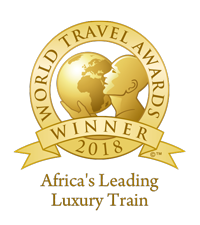 Each of the two trains consist of a Baggage Van, Power Car, Personnel Car, Club and Lounge Cars, Kitchen and De Luxe and Luxury accommodation coaches.